A barley wine is a contemplative beer, the kind of beer that you pour out in small measures, a beer that has rich fruity overtones, luscious maltiness and a fiery booziness. It’s usually dark amber in colour, but there are also pale barley wines, and it’s strong enough to make a cat speak. Some start at the relatively light strength of 7.5%, while others stretch out their limbs towards 12 or 13%. So far no one has claimed a session barley wine. Lush is the word you might be looking for on the first sip, with rich notes of dark or dried fruit, smooth chocolate, caramel, vanilla and occasionally a bracing bitterness. Dark mysterious amber or a well-polished mahogany though some barley wines can also be reddish gold in colour. Dive into an enticing tan-coloured head of foam. ‘The barley wine of the English Rhine’ was a slogan used by a brewery in the 1880s, though it wasn’t until the early 1900s after Bass’ No1 Burton Ale was called a barley wine that it was more commonly used. Some would say that barley wine is also interchangeable with a Burton ale or even an old ale. Best to keep things simple though. It’s an end-of-dinner drink so eschew the port for the barley wine, especially if it’s accompanied by a slab of creamy, pungent Stilton — that way heaven lies. British barley wine drinkers used to call the style a ‘sitting down beer’, because they had less distance to fall if they’d imbibed too deeply of it. Honest. Time well spent in bourbon barrels gives this Canadian barley wine a sleek and warming character with delicate waves of vanilla, dried fruit and rich malt. If you left this burnished mahogany hued and richly malty beauty out for Santa on Christmas Eve he’d be reluctant to leave and demand more. I’ve been very lucky this year to meet a great many people in the beer industry who I deeply admire. Meeting Jamie in the lovely Highland setting of his brewery Fyne Ales was a highlight. Other visits, including Siren, Burning Sky, Wiper and True, Lost & Grounded, Thornbridge and many more, were all united by one thing: the unerring, relentless passion of beer. My beer moment of the year, however, was a little closer to home. 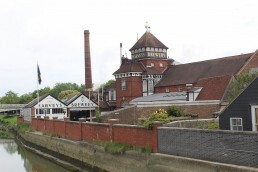 They call it the Cathedral, Harvey’s Brewery in Lewes. I was there on an ‘away day’ with Pete Brown, Adrian Tierney-Jones and the designer Adam McNaught-Davis. After a planning session and a tour of the ‘Cathedral’ we all retired to the John Harvey Tavern for lunch. And it was there, as I took a long draught on Harvey’s Sussex Best Bitter and looked around the table, that I marvelled the power of a humble drink in a humble pub. Beer had brought together great brewers, great beer writers and great friends. I sat down again and the banter continued. My beer moment of the year has to be the mini-book tour of North America I undertook to promote my new book, Miracle Brew. Most of my events took place in breweries, and my publisher is in Vermont, so, apart from flogging a few books, I got to visit some of the most exciting breweries around right now. I kicked off with a talk at the Brooklyn Brewery, after which Brooklyn brewmaster Garrett Oliver dragged out some of his ‘ghost bottles’ for us to taste — strong, experimental beers aged in wood with a variety of different yeast and microorganisms that start to blur the boundary between beer and wine. A few days later I was at Hill Farmstead in Vermont, watching the queue for growler fills of their New England IPAs and Belgian style beers grow outside an hour before the taproom doors opened. And then up to Toronto, a city I’ve loved for a long time, that’s now starting to transcend its beery influences and excel in styles that are different from what you might find in bars elsewhere. In 2018, keep an eye out for the Canadians. Tomorrow evening Original Gravity’s Publisher Daniel Neilson picks his moment of the year. How does it feel to be the British Guild of Beer Writers’ brewer of the year? It was quite a fantastic moment. Getting beer awards is always nice, but this one was quite emotional and it felt like a lifetime achievement. It was also special coming from the Guild as my inspiration for beer came from my dad’s reading of Michael Jackson and Roger Protz, whose books I have on my desk here. To have Roger there shaking my hand, that was a fantastic thing. You went to Croatia the day after the awards, what was that like? 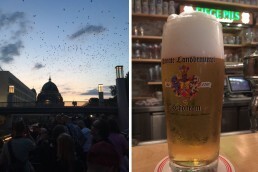 It’s fascinating for me to go out to these countries and watch the beer scene explode. I was in Italy in its early stages and in Spain. Is Spain the new Italy? Not yet, but it does have some amazing places, but Italian beers are just fantastic. I agree, though I did have a dreadful Puglia beer with artichokes in it a couple of years ago. Just why? Why? I like artichokes and I like beer, but not together. I call such things gimmick beers or shock beers. I can’t stand so much of the crap coming out these days, it’s not my thing at all. We tinker around the edges, but these are always things that will enhance the beer. The mango tea pale ale we have done, the beer was designed around it and it all worked, but we are never going to put caramel syrup or whatever in beers. Modern real ale is what you call your beers, was this a conscious decision to use that phrase? Our philosophy has three core components: there’s the Californian one, where everything has to have a lot of flavour; there’s the German one, what is called naturaltrub, unfined hazy beers. By the way, I wish I’d never made up the word unfined. I hate it. When I tried to change it to natural beer it didn’t stick. As for the third component, because I love real ale and its drinkability, that came from the UK. Those three things to me made it modern. Why did you want to get into brewing? My dad started me on drinking when I was a kid. Not drinking drinking, but the culture and the flavour. He lives in Las Vegas (pulls a face), but on the outskirts and never go to the strip. He had a business in LA selling antique prints and framing them and they travelled back and forth to the UK and that’s where my love of this country came from. They were selling high value stuff to actors and the like but they then got into reproducing it and selling it to hotels out there. I remember him and my uncle drinking Paulaner Dunkel one day and my dad said, ‘if you’re going to drink you should know what the good stuff tastes like’ so I had a sip of beer. I was around five, I liked it, he used to give me sips. Then there were Michael Jackson’s books. We would also go to liquor stores and look at bottles. That’s how I learned about beer. As I got older, I didn’t think I could brew beer, you thought someone else could do that but when I was at West Point my tac officer (he was a captain responsible for discipline for a group of us) was a home brewer. There was a time when we had to do a formal dinner at his house and he pulled out his home brew and it was amazing and he was like, ‘yes I made it’. He also had home brew catalogues and the like and that was my inspiration and I realised I wanted to brew. The funny thing I saw his photo in the news a couple of months ago. He’s a major-general now and responsible for the disaster relief in Puerto Rico and coincidentally I knew someone who was deployed out there and I got in touch to ask him if he ever saw Buchanan. He replied that he did now and again. So I asked him if he would do me a favour and go up to him and tell him that because of his inspiration I got into brewing. The next day he ran into him and he took a photo together and he loved it. So was there a lightbulb moment when you thought, I want to do this? Yeah, that was when I learnt to home brew and like every home brewer I wanted to open my own brewery. In the UK it is so easy, probably the easiest in the world. This is good and bad, I get where everyone is coming from cause I had the same journey, but the beer world is different now, you have to have quality, it’s not enough to want to be a brewer. I was living in San Francisco when I learned to home brew. The Speakeasy brewpub was a big inspiration and I was originally going to take a job at Steelhead. They were Oregon based but had several brewpubs around San Francisco. I was a business consultant at the time and earning good money and I was offered a job as an assistant brewer, which was $8 an hour. My friend who was head brewer said, ‘save your money and when you have enough go and open a brewery’, so I took his advice. I had always wanted to do it in England, so my wife and I moved to England, and we saved money for 10 years, still working as business consultants. I was also a CAMRA member. I remember seeing a brewery in the West Country for sale in What’s Brewing, so I went down and saw the place, and the owner told me that he just wanted to sell it. We talked and discovered that we had a lot of similar ideas and I somehow got him re-inspired and we were going to work together. Then I was in Germany seeing a customer and he gave me a call — this was before we’d done all the paperwork and money — and he said that I had had him all fired up, but that he knew that within a month he would want out again. He didn’t want to drag me and my family down to the West Country and then pull out. It was a good thing of him to do it, but I had come down to the area and liked it and then I read about an award-winning brewery up for sale or partnership. This was Moor as it was then. So I met the owner and he told me about his plans, about making the brewery site, which was a farm, a retail outlet and there were some good ideas. The brewery was shut at the time and there was nowhere to drink the beer, but new kit was being installed. So it all seemed good until I moved down. This is the beauty and the problem of the UK, someone who had no background in professional brewing, who had been playing around on other kits, I didn’t know any better, I would open up the back door to do cask washing and there would be a bull looking right at me. From the outside I saw champion winter beer, the vision and new kit, this all made sense for someone who was keen but it got sour. That was then. 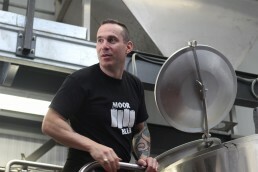 I was pleased to read about Moor’s new tap room in Bermondsey. We are not going to brew there, it will be for our barrel ageing projects. 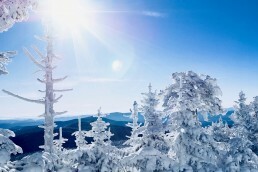 We will grow organically — at the moment we produce 6000 h/l a year, though we have the capacity to do 9000 or even 10,000, beyond that we will see what the steps are from there. What’s all this thing about Star Wars, your office seems to be plastered with posters? Who doesn’t like it? I’m so looking forward to The Last Jedi. Berkshire-based Siren Craft Brew are set to officially launch a new Tap Yard at their brewery in Finchampstead. The ten-line, 50sqm, 100-person Tap Yard will open to the public officially on Friday 15th December and feature ten dedicated lines. 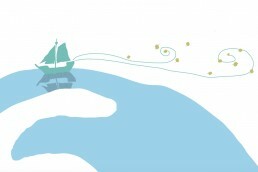 Siren will launch with core beers, West Coast IPA ‘Sound Wave’ and Loose Leaf Pale Ale ‘Yu Lu’. They will also be pouring Grapefruit Sour IPA ‘Pompelmocello’; Pale Ale ‘Suspended In Rye’; Breakfast Stout ‘Broken Dream’; Rye IPA ‘Ryesing Tides’; Winter Double IPA ‘Forest For the Trees’; Bourbon Barrel Aged Imperial Porter with Tamarind ‘Sheltered Spirit’; Imperial Stout with Coffee & Figs ‘Turkish’ (Project Barista); and Irish Dry Stout ‘Afterlight’. Siren’s Tap Yard, is based at Marino Way, Finchampstead, Berkshire and will open from 12-8 on Friday and 12-7 Saturdays pouring the freshest Siren beers all year round. Tap Yard fridges will house every Siren beer including every new collaborations with the likes of Brooklyn’s Other Half, Spain’s Naparbier and neighbours Elusive Brewing. The new Tap Room caps an exciting four years for Siren. 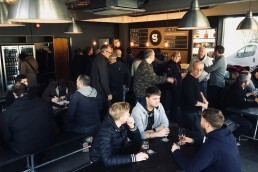 Opening in 2013, Ratebeer has named Siren Best New Brewery in the UK (2013), second Best New Brewery in the World (2013), Best Brewery in the UK (2014) and a Top 100 Breweries in the World (2015). 30 minutes from Reading city centre, the closest railway station to Siren’s Tap Yard is Wokingham, the site is serviced by Reading Busses’ ‘Leopard’ route, Sat Navs should use RG40 4RF. Should beer have a sense of place? Beer’s easy accessibility and unpretentiousness are some of its most appealing aspects. But this down-to-earth nature sometimes causes suspicion of any attempt to make beer sophisticated or classy. Take the on-going debate about the ‘Thirteen quid pint’: non-beer drinkers and many beer fans are united by a belief that no beer, no matter how it was made or how strong it is, can ever be worth that much because it’s ‘just beer’. Another sticky topic is that of terroir, the French term used by the wine industry to argue that a particular combination of climate, aspect and soil type creates conditions in certain places that give their character to the fruit grown and wine made there. Can beer have terroir? Again, winemakers would argue beer is not sophisticated enough to demonstrate it, while some beer drinkers might dismiss terroir as poncey. An additional problem is that beer can be made anywhere: a brewer might buy hops from Washington State and malt grown in Norfolk and still call herself a local brewer, whether she’s in Manchester or Melbourne. But the truth is that beer has always been tied to a sense of place. It can be helpful to adopt a close English approximation of terroir, and refer to it as ‘land taste’. This concept is just as important to hops and barley as it is to grapes. How could it not be? Take hops from one area and plant them in another, and their characteristics will change. The citrusy, tropical fruit, dank and piney hops we love from North America are the descendants of earthy, spicy English styles such as Fuggles and Goldings. Bring some Cascade hops back from the States and plant them in Kent, and they’ll take on some of the characteristics of their ancestors. Norfolk is the best barley growing region in the country because of its light sandy soil, and the cool sea mists that blow in and keep the fields cooler and moister than they should be in high summer, allowing the grain to ripen for longer. Yeast, invisible in the air around us, goes through thousands of generations for every one of ours, and evolves rapidly to suit its environment. The wild yeasts of the Senne valley create Lambic beers at breweries such as Cantillon, while brewers like Verzet and Rodenbach have their own cultures up the road in West Flanders, creating Flemish red ales. But perhaps the beer ingredient which has the greatest land taste is the one that’s least thought about. When water falls as rain, it’s more or less pure. As it seeps through the ground, ions from the minerals in the earth dissolve into it. It becomes hard or remains soft. It may become acidic or alkaline. When it’s taken from a spring or well, it’s literally full of ‘land taste’, and these attributes have myriad different effects on beer. The Czech Republic evolved into a lager brewing country because its soft water is perfect for that style, whereas London pale ale brewers of the 19th century had to set up satellite breweries in Burton-upon-Trent because those beers simply weren’t as good brewed anywhere else. Today, any pale ale or IPA brewer will ‘burtonise’ their water to recreate the town’s unique sulphate cocktail. Beer may be simple. But it’s also four times more complex than wine. Pete’s Miracle Brew (Unbound Press, £9.99) is now available. Adrian Tierney-Jones contemplates the history of London’s beer. Porter is the beer that returned from the dead. It is the beer that rose from the grave in which it had long laid dormant, an unknown grave, as lost as the tomb of Alexander, all that was left was rumour and conjecture. Was it the drink of the men who moved London’s goods in Georgian times and gave the beer its name? Did Mr Pickwick enjoy the odd noggin? And was a dinner party really held within a wooden vat at one of the monstrous London breweries that made their name and fortune with porter? Yet porter was real enough to me late last winter as I sat in the cool, shaded confines of the Royal Oak, a Victorian-style corner pub that is a few minutes stroll from Borough Market. The Oak is the London flagship of Sussex brewery Harvey’s and a place where its complex Porter can be studied at length, especially welcome on a cold, crisp and introspective winter’s day such as this. The beer was sleek and sensuous in the glass, a confection of treacle toffee, chocolate, vinous fruit, saddle leather, tobacco box and even hints of dandelion and burdock. Ok I wasn’t in a chapel but the light was failing on a winter’s afternoon; I was in England and there was something devotional in the way in which I regarded the beer in front of me. 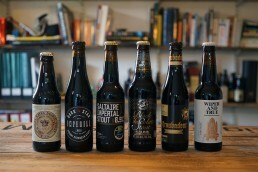 That’s the problem with porter — it is inspirational, but it can also become an obsession as well. If IPA (or more frequently a mash-up of IPA) is one of the first beers that a new craft brewer thinks about making when they go pro, you could bet your very last hop sack of Citra that the next beer style/variation/thingy they chance their arm at will be a porter (though some ambitious souls have been known to zoom straight into saison). The beer has an aura about it, a gravitas in the glass, a sheen of heritage and the theme tune of history that makes it so endlessly fascinating. It is seen as the first world beer, the beer of the industrial revolution; it’s London’s beer gift to the world (Burton and London share IPA but porter belongs to the capital). It’s porter. However, it’s easy to sit back in an imaginary armchair and pontificate about porter as it was, but what about now? 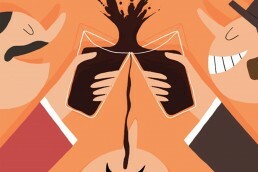 In modern terms porter is Janus-faced as brewers look backwards and forwards as they make it: categories include Imperial porter, Export India porter, London porter, Dublin porter, Baltic porter, table porter, coffee porter, pastry porter (WTF?) and of course just plain porter (which takes us neatly back to London). That’s the exciting thing about what craft brewers (for want of a better word) are doing with beer — they are taking venerable styles and bringing them back to the future. American craft brewers first resurrected the beer, adding lots of hops but still maintaining the creamy, soothing centre that in my mind differentiates modern porter from modern stout (though some argue that they are the same beer, the world’s not going to come to an end). I have always enjoyed the lush, smoky, bitter, mocha-like temperament of Anchor’s Porter, perhaps one of the first returnees to the porter fold in 1972; I believe it is one of the best examples of the American style. Then there is Alaskan Smoked Porter, with its rich malt character, peppery hop, stewed fruits and bonfire night smokiness (Stone’s Smoked Porter is an equally smoky ravishment). Everyone’s got a porter in the US: some have more hops in them than is decent; others are aged in all manner of barrels, while Ohio brewery Willoughby produce a peanut butter cup coffee porter, which is not just pushing the envelope but setting up the Pony Express and the Post Office all at once. This might not taste like a porter from the early 19th century but who cares? Sometimes a beer style should be seen as a blank music manuscript with the notes and the order in which they are placed still to be decided. History? For a long time it was thought that landlords in the early 18th century mixed up three different kinds of beer in their cellar — the famous three threads — and that a London brewer replicated this in his brewery and hey presto porter was born. Nice story, but it didn’t happen that way — porter somehow emerged, brewers didn’t keep records, there was no Twitter and to be honest the story of beer styles emerging into the world rarely approaches an eureka moment. There are no records of Ralph Harwood (for centuries thought to be the creator of porter), running into the street, Archimedes-style, telling all and sundry what he had just discovered. As for porter’s heyday in the 18th and 19th centuries I haven’t got a clue what old time porter tasted like though the tradition of aging, or staleing, blending and the use of brown malt might suggest an exceptionally characterful beer; perhaps the lion of acridity lying down with the lamb of acidity. For the moment though I’m happy to lie down with another glass of Harvey’s Porter and watch the light of the day fade and marvel at the power of porter, the beer that came back from the dead. 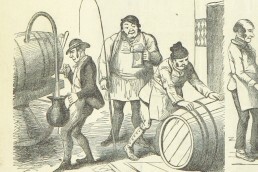 Early 18th century London brewers start producing the beer that would be known as porter, though it was also called entire — according to Martyn Cornell in Amber, Gold & Black the name porter isn’t used much by London brewers until the 1760s. 1760 Whitbread opens its vast porter tun room, which replaces four private houses and whose unsupported roof span is exceeded in size only by that of Westminster Hall’s. c1780s Guinness starts brewing porter. 1814 A porter vat at Meux’s brewery off Tottenham Court Road bursts and eight people are killed. 1817 Daniel Wheeler’s method of roasting malt, which would give porter its distinct darkish hue, is patented. 1890 Pardubický Porter is brewed for the first time, in the style of the dark beers of the Baltic; it is still made today and one of the few of its kind made in the Czech Republic. 1920 While working out what beers to send for sampling at the Brewers’ Exhibition Watneys decides not to brew any porter for the event — porter is in its death throes. 1941 Whitbread stops brewing porter. 1972 After the success of Anchor Steam in 1971, brewery owner Fritz Maytag is emboldened to start brewing Porter. 2009 Evin O’Riordian founds Kernel and one of his key beers is Export India Porter. 2014 Guinness releases Dublin Porter and West Indies Porter. Choose a new hobby, choose a new washing machine, choose a new variety of hops, ok then, let’s choose life. Talking and thinking about hops (and malt and mashed veg for that matter), you might want to also choose a copy of this rather fascinating book, whose modus operandi is a rigorous run-through of all the various grains, malts, hops and yeasts that you can use to make beer (mind you my first glance of the cover — a washed out image of what look like hops — made my heart sink and my interest flutter away like a piece of paper on the wind). However, my advice is perseverance, which is the approach I took, and with that in mind you will embark on a fascinating journey through every ingredient that brewers are currently using to make beer. If you want to know to know what happens when you use garden peas in the mash (popular in Soviet-era Lithuania) or prickly pear, then this is a book to dive into and get your ideas for the beer that will wow all and sundry (I suppose you could be making an IPA, an India Pea Ale that is, which would get round all the objections to Black IPAs). As for hops, there are around 300 varieties listed in the book, each entry compact but solidly sparged with essential information such as the character and the alpha of the variety. There’s also the lowdown on yeast, the aforementioned mashed veg (bet you thought we were having a giggle but do have some garden peas or a carrot), and malted and unmalted grains. Be warned though, this is not a how-to-brew book, more a what-can-I-use guide that both brewers and those interested in beer like myself will find fascinating. Ted Bruning (for whom I used to write when he edited What’s Brewing) is a very clear and easily understood writer; he is not a fancy dan man or addicted to being asymmetrical. He’s also been a busy bloke in the production of this book as he has burrowed like a mole through the online sales catalogues of hop merchants, maltsters and yeast labs, and then gone through other websites, before dropping into home-brewers’ forums and news groups. The result of this Herculean research is this neat little book with a dull cover. I think it’s worth getting for Christmas (or any time really). 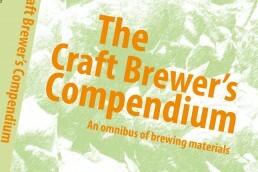 The Craft Brewers’ Compendium — An Omnibus of Brewing Materials, Ted Bruning with Technical Editor Don Burgess (www.posthousepublishing.com, £14.95).